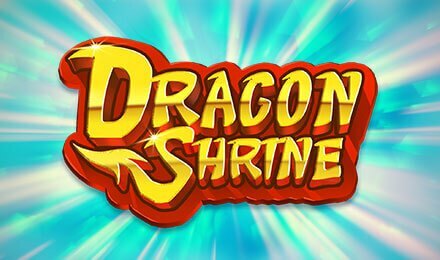 It’s the time to jump on Dragon Shrine Slot for a quick spin onto its 5 reels and 40 paylines. This Chinese themed slot machine revolves around gemstones and to the soothing Asian style melody, you might reveal some of its rewarding features for some breathtaking gaming experience accompanied with potential wins. Play on the go on your smartphone or tablet devices and enjoy its many surprises. Powered by Quickspin, Dragon Shrine Slot is all in all worth the detour! As you spin the reels of Dragon Shrine Slot, you’ll find a choreography of symbols like the usual playing cards such as J, 10, Q, K and A. There’s more to it. There’s an abundance of mesmerising gemstone, adding a scintillating sparkle to your gaming experience. One that can reach new heights! To add more zest to these dynamic reels, there’s the dragon symbol, a pagoda and the WILD sign. Keep an eye on these icons, they might trigger some rewarding features that can boost your chances for bumper potential wins. Bet Levels: There are no Bet Levels, here! Amount of Paylines Selection: On Dragon Shrine Slot, you will find 40 bet lines. Coin Values: There are no coin values, there’s just the total Bet that ranges from 0.20 to 80.00. Hand-pick your favourite options and get the reels to spin! The wild on Dragon Shrine Slot is represented by the square labelled with the word WILD and it can substitute all the symbols on the reels bar the Bonus Scatter Symbols. What’s the bonus scatter symbols over here? It’s the green pagoda sign and it can come into view on reels 2, 3, 4 plus it can crop up in both the Free Spins and the Base Game. If you get 3 Bonus symbols you will launch 10 Free Spins. On Dragon Shrine Slot the Dragon Stack Respin Feature is launched by a full stack of Dragon Symbols on the first reel. During this feature, all the Dragon and wild symbols will be locked on the reels and there will be 3 Respins. When the feature comes to an end, all the line wins are evaluated. To trigger 10 Free Spins, land 3 Bonus scatter symbols on a single spin. When the Free Spins is activated, the Dragon Stack Respin feature can be triggered either from a full stack of Dragon Symbols landing on reel 1 or 5. You will find a second full stack of dragon symbols that will be mirrored to the opposite reel. The Free Spin Feature will come to an end when there are no Free Spins left. However, it can be retriggered by 3 Bonus Scatter symbols coming into view on a single spin. The wins on Dragon Shrine Slot are both ways.